Bayway Isles POINT BRITTANY - Turn key! Bring clothes and head for the beach! 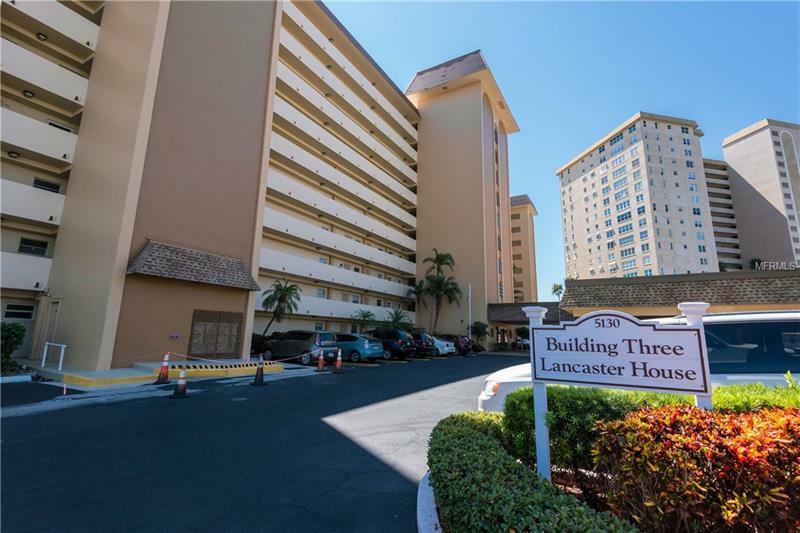 This contemporary 1760 sq ft, newly renovated 2/2 condo is overlooking Tampa Bay and the Boca Ciega Bay Intracoastal waterway. Water Water Everywhere!!! The unique touch of stone has been beautifully applied around the outside walls. This 9th floor corner unit offers 2/2 with amazing views. Large Kitchen window overlooking the Intracoastal. Recently renovated, Travertine tile LR/DR/K and 2 newly updated baths. Enjoy this 55+ community with large spacious rooms and plenty of activities. Condo fee includes water, sewer, trash, basic cable w/two boxes, reserves, bldg insurance, grounds and bldg maintenance, Club house activities, four pools, sauna, fitness center, tennis courts, boat dock (first come first serve), fishing pier, fire pit, barbecue area, everything you need or want is within minutes of your condo. Two miles to the gulf of Mexico and a 7 minute drive to downtown St Petersburg. You have it all here and it is furnished, turnkey, move in ready - just bring your clothes and begin your life in Paradise! Call to see today! Sold Remarks: Buyer paid seller costs.